Wednesdays are always hard days for me to blog. It’s definitely the day that I struggle the most. It must be the city’s day of rest, because every week it’s a pretty quiet day for Austin standards. So that’s how I ended up with Laguna Gloria. This is one of those list items that I have always kept in my back pocket for a rainy day, and what do you know, today literally is a rainy day. 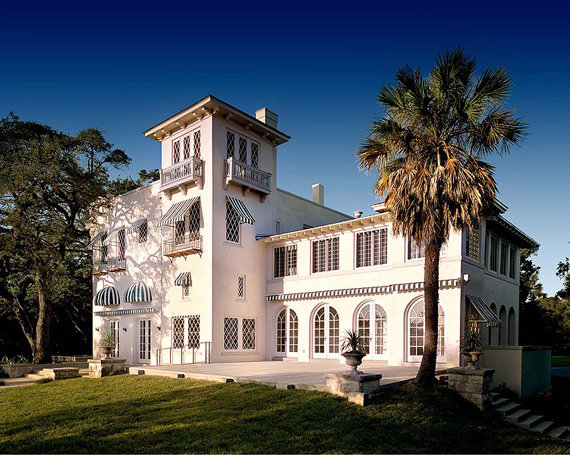 Laguna Gloria is an art museum that sits off 35th Street. The grounds and the museum are something every Austinite must visit. The Italian-style villa overlooks Lake Austin, and it’s one of the most peaceful settings you can find in the city. It’s very romantic. Like any museum, it’s full of various exhibits, with paintings, drawings and photographs. For those that are looking to explore your creative side, they offer ongoing classes for all ages on a huge spectrum of topics. You can take classes on anything form pottery, photography, photoshop, mosaics and jewelry, to metal and glass. They offer it all! For more information visit: http://www.amoa.org/site/PageServer?pagename=art_theartschool. Of course you don’t have to sign up for a class. You can just head over there to explore on an afternoon. I highly recommend you stop by on an evening where you can enjoy the grounds, as the peacocks are something to be seen.